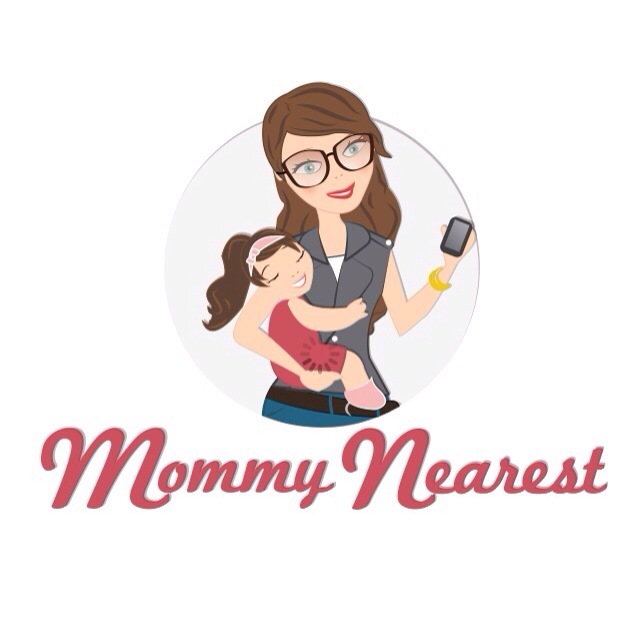 A few weeks ago I downloaded an app called Mommy Nearest. 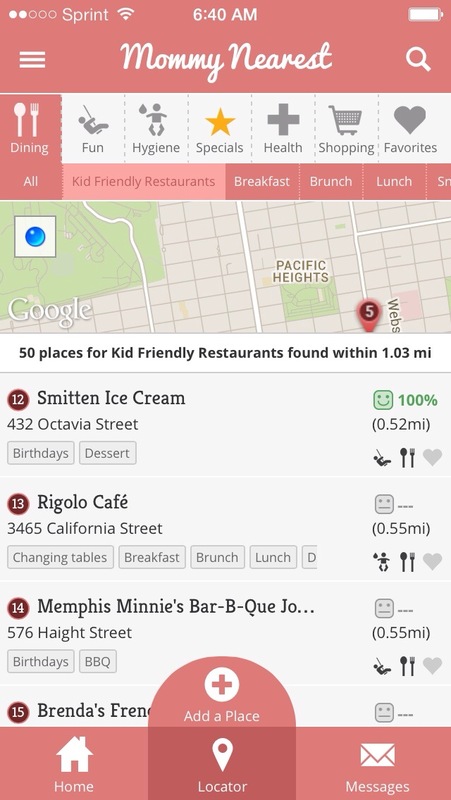 It’s an app that has general parenting info but also lists all the kid friendly restaurants, parks, play spaces, doctors, you name it, in the geographical zone you live in. You can write reviews and share new places as well. 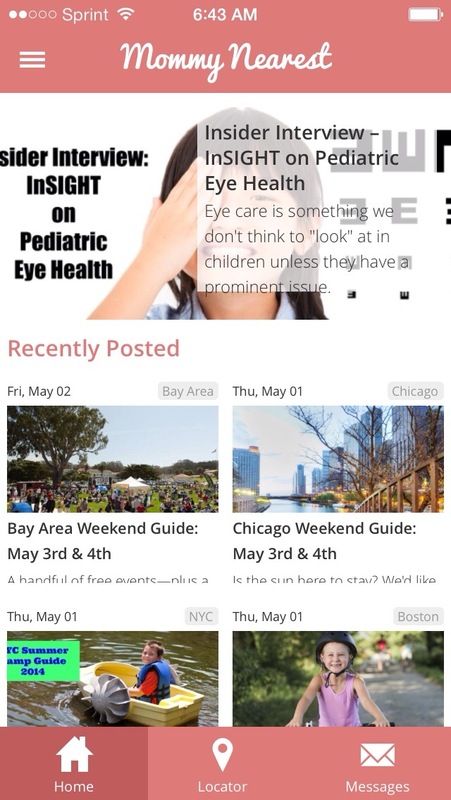 It’s kind of like A Parenting Blog, UrbanSpoon and Yelp all rolled into one with an interactive twist. They launched in New York last year and are quickly spreading their influence west. I heard they were looking for content creators, so I emailed them asking for a job. For whatever reason they chose me as an “expert mom”. They likely have not read the posts about yelling at my children or how much laundry I have piled up but that’s ok, we will keep that between us. You will find me over there writing about things to do in San Francisco and maybe a few parenting articles. What would be some things you would like to see me share there? Any topics of interest to you? Go download the app here. You can actually use it in any city because it works with the gps in your phone to find local spots. It works better the more people who use it because we can all review local businesses and curate family friendly locations in our respective areas. A friend of mine told me Smitten Ice Cream is the best. I am going to have to go and write a review! MommyNearest works for both Apple and Android phones. Will you guys please download the app? I am a little nervous because for the first time I will be writing for another site, yikes! I have an editor and everything, but I am pretty excited about the opportunity and would so appreciate your support and feedback over there. Here is the link for Android. Here is the link for iPhones and iPads.